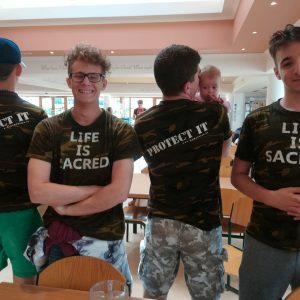 Camoflage style hoodies with a timeless prolife message displayed on front and back. 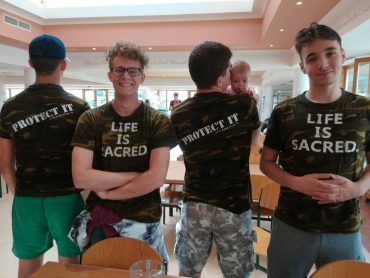 On front: LIFE IS SACRED. On back: Protect it.